The Good Friday tornado in the suburbs of St. Louis, MO, leveled homes, blew off roofs and walls, flipped cars and uprooted trees. Thankfully my family, friends and the rest of the community survived. My hometown is putting the pieces back together and, even though I’m in LA, I want to help. 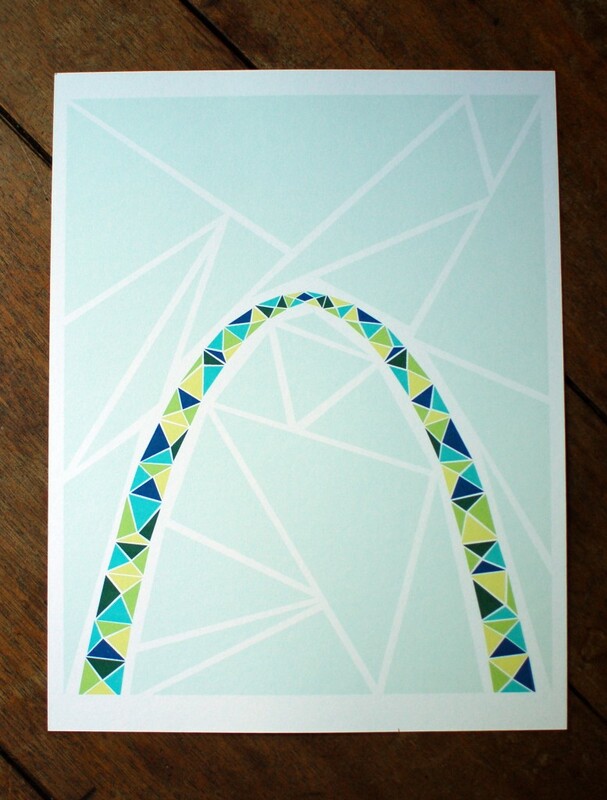 All proceeds from the sale of this Arch print will be donated to the St. Louis chapter of the Red Cross. If you love the city of St. Louis, love triangles, or just want to help, please consider this geometric print a keepsake for donating. If the print isn’t your style, consider making a donation directly to the Red Cross.